The much awaited Apple’s smart watch has been finally launched along with iPhone 6 and iPhone 6 Plus. Since its launch, it has created a buzz as it comes with a number of advanced features and functionalities than a normal watch. It is not just a fashionable piece but claims grab the smart watch market with this new gadget. It is not merely a watch but a much more than that, which works as a fitness tracker, a compact device for checking incomng text messages, emails and even phone calls. It is lets users play games and runs small apps. 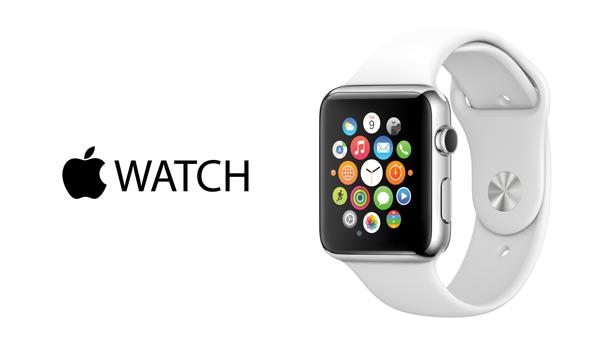 The Apple Watch will be available in India for pre-orders at Rs 36,999 and Rs 1,768,700 ( for the gold model). Let’s have a closer look at the different aspects of this new generation watch. 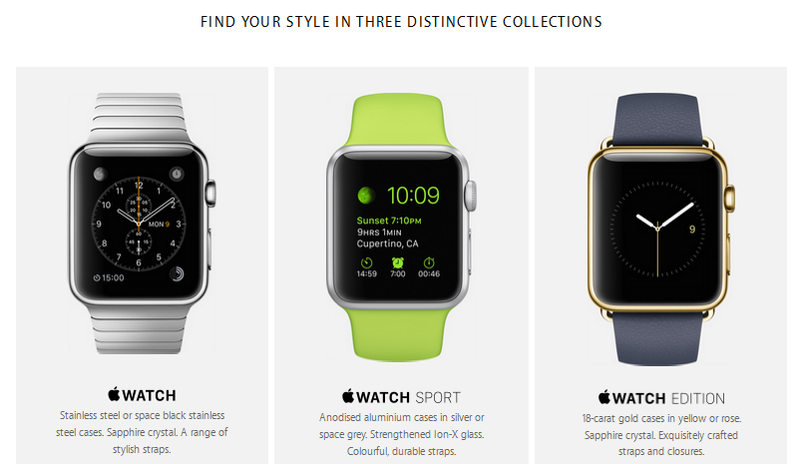 The new smart watch from Apple comes in 6 different versions and each version is available in two different sizes. It is a unisex watch that looks like a fusion of iPod Nano and iPhone 6. It is designed in a way that users will love to wear it everyday. Made using alloys of stainless steel and aluminum, each variation comes in two finishes i.e. rose and 18-karat yellow gold. In addition, the new device is water resistant, which lets users to wash their hands or go out in the rain without worrying. A wide assortment of bands is as well available, so the users can change it as and when they want. The grooves are well-engineered and CNC machined in order to make sure perfect fit with any band. The elegantly designed buckles as well as closures provide the perfect finishing touch, which makes the watch look amazing. The interface is much better than the smart watches from other manufacturers. The scroll wheel allows you to zoom in and out the interface as well as apps. You can as well use the touchscreen to access the apps. In terms of design, this new device definitely looks great. The screen equipped in this device is crisp and bright from different viewing angles. It comes with OLED display for bright and crisp images. The judicious dimensions of the watch will not let you realize that you are wearing a smart watch. The time and the images are nicely readable even when you are in a crowded place. The watch comes with fantastic look and the screen as well is quite amazing. The watch is equipped with the new S1 processor by Apple and a force-sensitive. Much like all other smart watches, even this is a phone accessory. However, unlike the other Android wear, you will have to own an iPhone 5 or the later versions to use the watch. Only a few apps work without the phone but, if you want to make use of all the apps than having an iPhone 5 is essential. The watch receives text message sent to your phone, emails, allows speakerphone calls, lets you ping your friends using the various animated emoti. It is capable of monitoring your heart beat, track your steps as well as logs runs. In addition, you can listen to music using Bluetooth headphones, run apps like you iPhone, get notifications and also make payments using Apple Pay. However, it needs to be connected to your iPhone in order to operate these applications. It can be connected using Bluetooth 4.0 and 802.11b/g/n 2.4 GHz WI-Fi. It also has a built-in speaker and microphone; however, there isn’t any headphone jack to connect to headphones. The Apple Watch is beautifully made and comes with a compact design. A feature-rich watch that comes with impactful fitness software and several other apps makes it a perfect wear. The ability to send and receive calls via an iPhone makes it the ideal gen-next device. The battery lasts for just a day and the recharging time is quite slow, which is its major drawback. In addition, it is compatible only with iPhone 5 or higher for accessing the different applications. The interface as well is a little confusing. However, Apple has tried its best to make it a more useful device than just a timepiece. It is quite an striving and well-constructed smart-watch, which is sure to lure the customers. I'll write about it's models , technology and prices in detail at the end of Next Month.